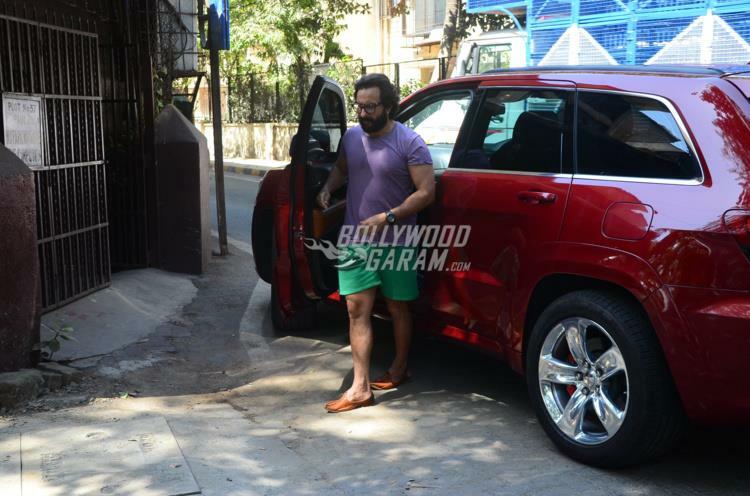 Saif Ali Khan, is currently juggling between being a father to son Taimur Ali Khan and a few projects in Bollywood. The actor was snapped at the dubbing studio in Mumbai on April 25, 2018. 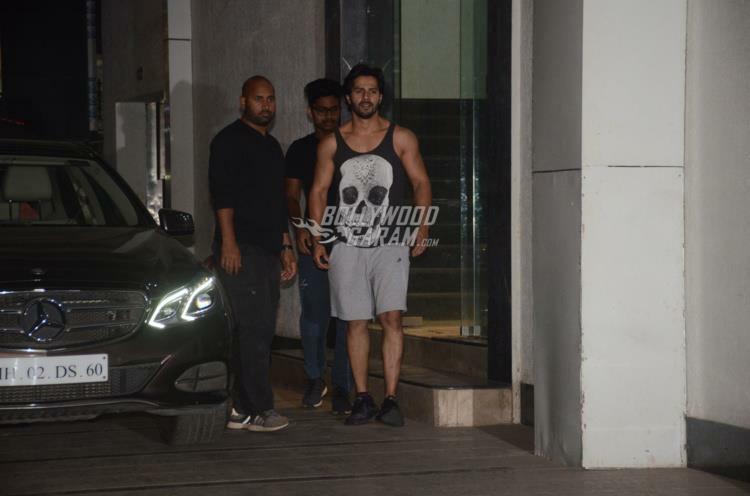 Bollywood actor Varun Dhawan was snapped by the paparazzi as he made his way out of the gym. The Badrinath Ki Dulhania actor looked dapper in a black vest and grey shorts with sports shoes and was generous for the paparazzi as he smiled and posed for them. Varun is currently enjoying the success of his film October which is helmed by Shoojit Sircar. The actor is also receiving praises for his performance in the film which also marked the debut of actress Banita Sandhu. Varun is now filming for his upcoming film Kalank which also stars Alia Bhatt, Madhuri Dixit, Sanjay Dutt and Sonakshi Sinha. 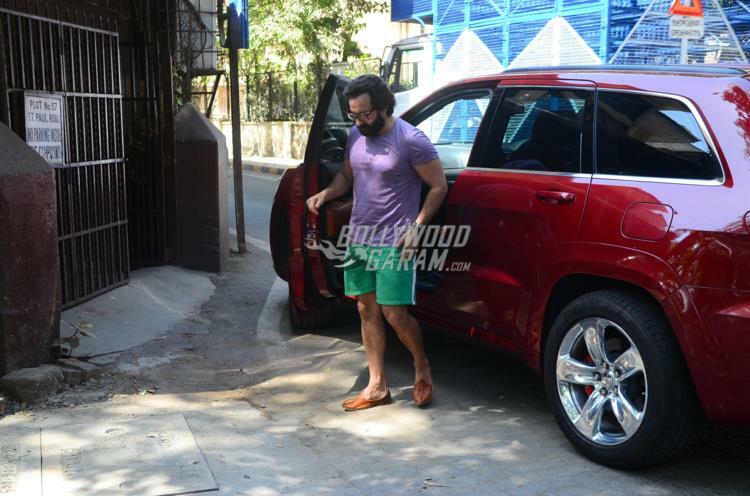 On the other hand Saif kept his look simple in a casual green shorts and a purple t-shirt. 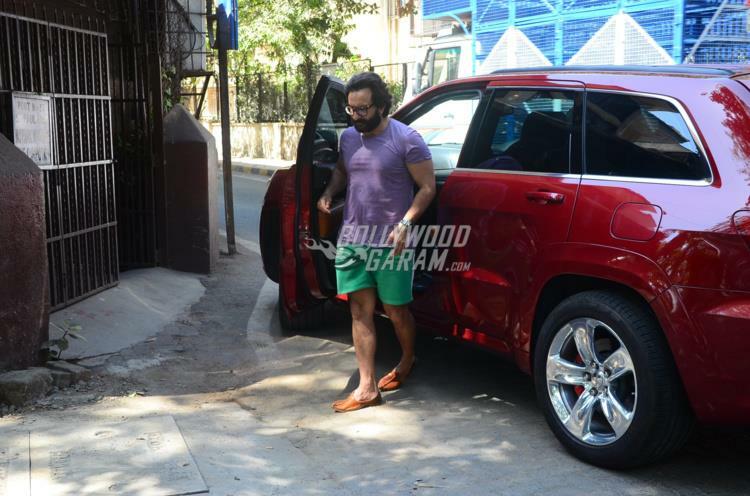 The actor was last seen in the film Kaalakaandi, which could not pick up at the box office and is currently filming for the film Baazaar.